A baby boy has died after what is believed to be an attack by two family dogs. 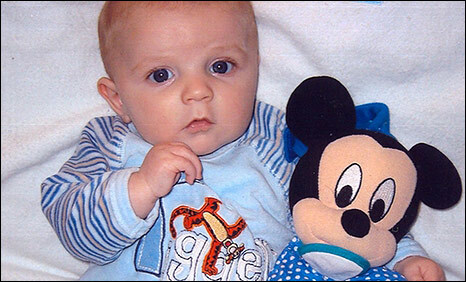 Neighbours said three-and-a-half-month-old Jaden Mack was staying with his grandmother at the time. Gwent Police say Jaden was taken in the early hours from the house in Ystrad Mynach, Caerphilly county, to hospital, where he was declared dead. A Jack Russell and Staffordshire bull terrier are believed to have caused the injuries, and they have been put down. A post-mortem examination was held on Saturday afternoon, and police say the exact cause of death has not yet been established. Officers were called to a house in Commercial Street at about 0015 GMT and Jaden was taken to Prince Charles Hospital in Merthyr about 12 miles (20 km) away. Police said the "adult female family member" who was caring for Jaden at the time was taken to hospital to be treated for shock. Jaden's parents were not at the address at the time. Officers will speak to her later about the attack, which happened in the downstairs living area. No arrests have been made. The dogs were taken from the home and police said the decision was taken in conjunction with the family to humanely destroy the animals. 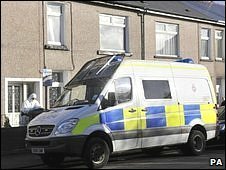 The area was cordoned off and officers have carried out house-to-house inquiries. Neighbour Gail Jones, 45, said she was walking back from a night out when she heard a distressed woman. She added: "You see these stories on the telly and you don't think it is going to happen on your street. "Your heart goes out to the family. It is just tragic." Another neighbour, Heather Organ, 47, said she was watching television when she heard "screaming". "It seemed as if somebody was very distressed or being attacked," she said. "I came out and saw my neighbour and he knocked on the door and asked her to open the door. "When the door opened, two dogs ran out. "At the time I didn't realise what had happened so, rather than let the dogs get hurt, I picked up the Jack Russell and ushered the other one (Staffordshire bull terrier) off the road. "I know people can't prove anything but at this moment in time it does suggest that it was the dog." 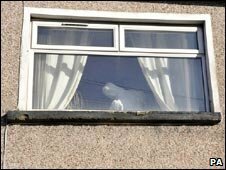 Ms Organ said she believed the neighbour was minding her grandson for the weekend. The Welsh Ambulance Service NHS Trust said it received a 999 call from Gwent Police to attend the house at 0021 GMT. "The call said a young child had been attacked by a dog," said a spokesman. "We arrived shortly afterwards and conveyed the child to the Prince Charles Hospital in Merthyr." The spokesman added that a second patient was taken to the University Hospital of Wales in Cardiff for treatment shortly after 0200. Chief Inspector Jim Baker said: "This is a tragic incident for the family and the community. 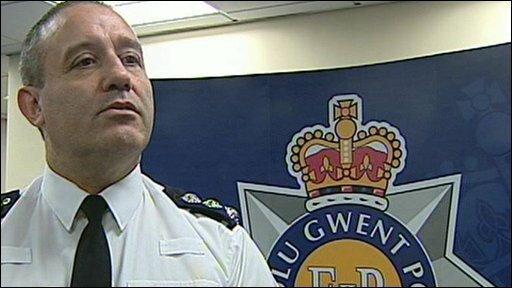 "Gwent Police family liaison officers are currently supporting and assisting the family through this difficult time. "The family wish to be left alone to grieve. "Although the exact circumstances of the baby's death are yet to be established, we would like to reiterate the advice given to dog owners that dogs should never be left unsupervised with young children at any time."